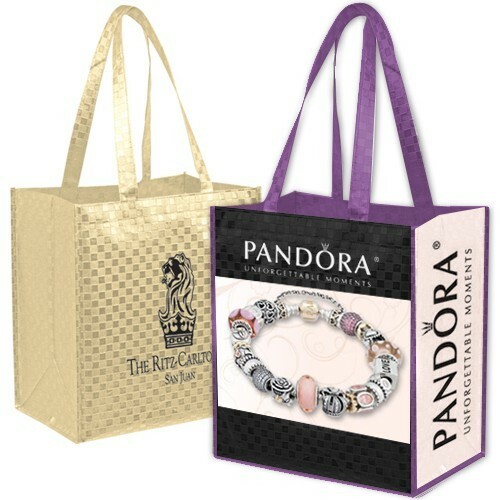 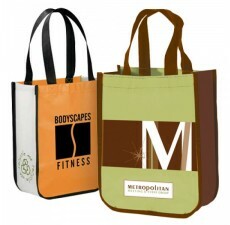 This unique metallic recycled tote bag is offered by Custom Grocery Bags to use as a branding tool for your business. 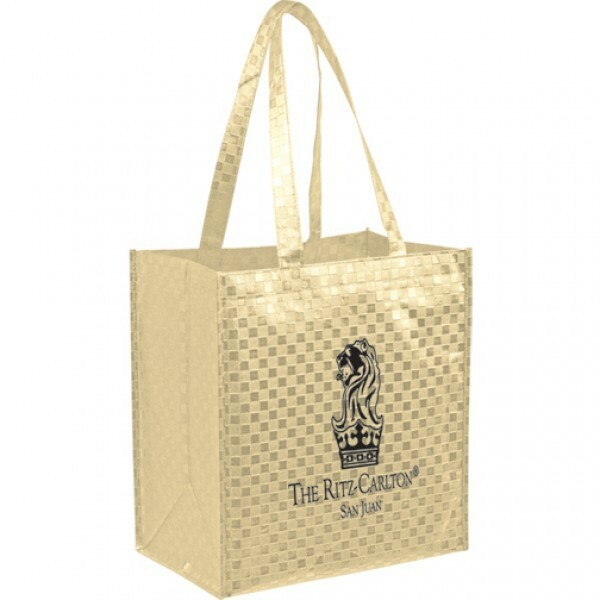 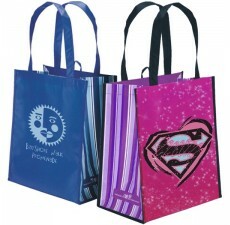 This particular tote bag is made from non-woven polypropylene and includes a metallic lamination over the top. 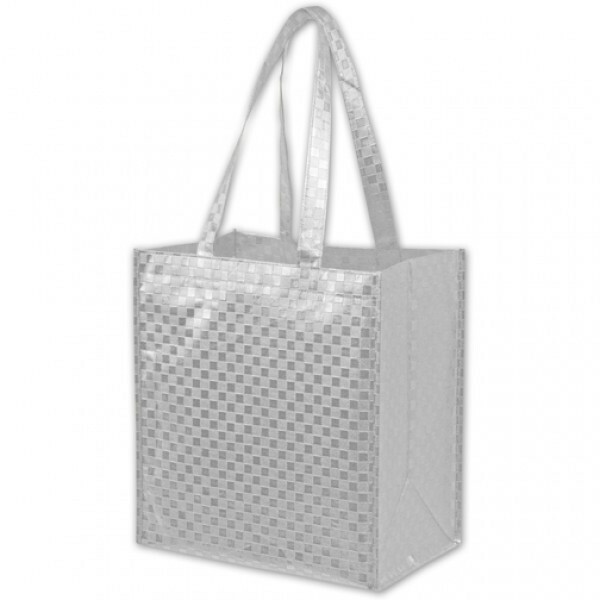 The metallic lamination provides a fashionable element to this particular tote bag, as well as giving the bag a smoother texture overall. 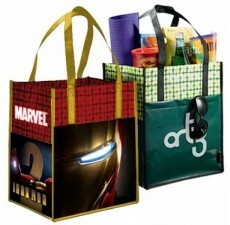 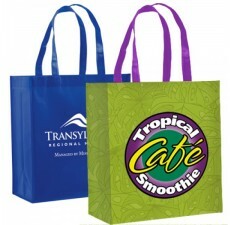 Lamination on these custom grocery bags provides additional durability and structure. 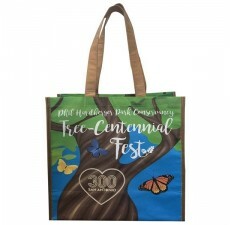 The bag also includes a poly-board insert made from recycled plastic, giving this eco-friendly bag strength to carry heavier items. 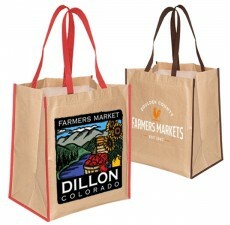 Custom Grocery Bags can help answer any questions that you may have about this or any reusable grocery bag.